A new partnership between Versatex and Aqua-DIY makes it easier to put dark colors on PVC millwork while maintaining the material’s heat- and sun-resistant properties. Aqua-DIY’s D100 system uses heat-reflective pigments in a water-based coating that can bond with PVC at the molecular level. This means that the coating is resistant to heat and sunlight as well as chipping and peeling, the company says. 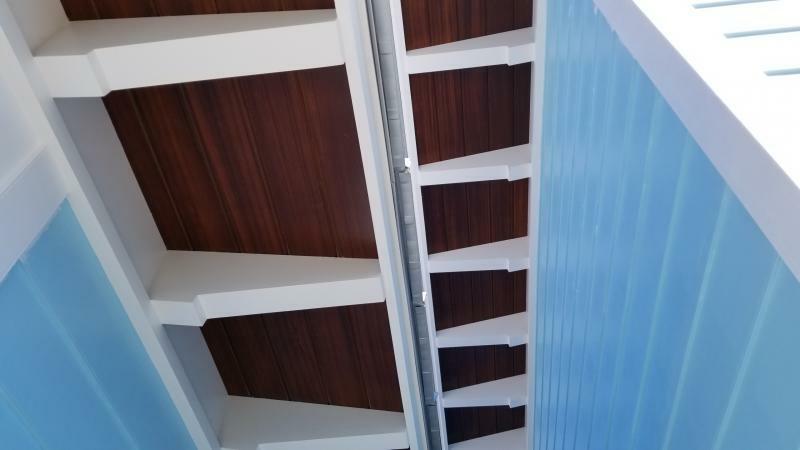 Contractors can also treat Versatex with a combination of Aqua-DIY’s GrainEx and Stain Top Coat for a wood grain effect with similar heat reflecting properties. “Materials finished in our darker shades actually sustain less fading than uncoated white substrates, due to the high reflectance of our coating and the inherent stability of our pigments,” says Michael Braeuel, president of AquaSurTech OEM, the parent company of Aqua-DIY. The new partnership with Versatex Building Products, LLC, will make the D100 system available through the Versatex dealer network, giving contractors easy access to Aqua-DIY’s product offerings. A new Aqua-DIY website was set up specifically for the use of Versatex contractors. In addition, the two companies will provide a joint 15-year warranty for Versatex products treated with D100. The partnership comes as dark trim colors are seeing high demand from homeowners, who want to move away from standard white PVC. Traditionally, millwork has been left white both because it is difficult to paint and because it undergoes heat expansion and contraction when treated with dark colors that have low light reflectance values (LRVs). The Aqua-DIY D100 system comes in 51 available coating colors, spanning browns, reds, greens, blacks, and more.